Kick up your feet and relax in style with this lovely stool. 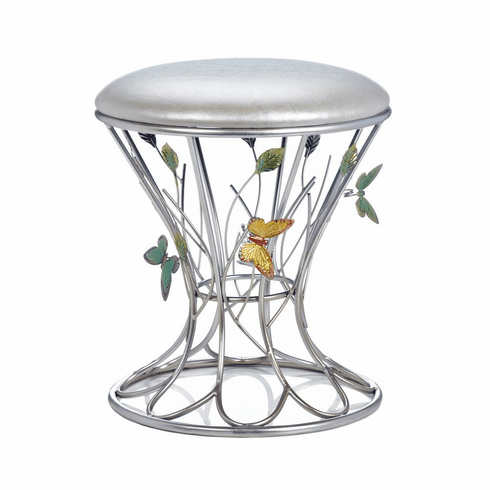 It features a pretty silver-finish iron base that's decorated with colorful, dimensional butterflies and leaves. The top pad has a silver sheen that looks great with any decor. Weight 7.2 pounds. 18" x 18" x 17". Iron. Sponge, Polyurethane. UPC Number: 849179033538.